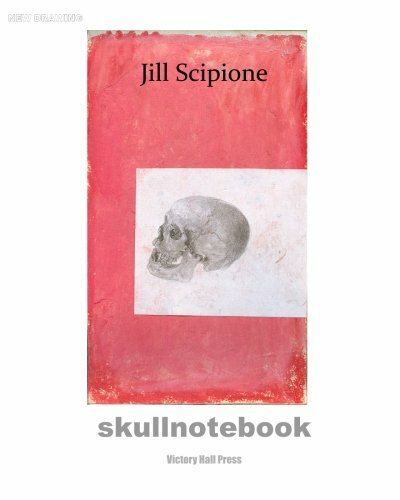 Jill Scipione’s skulls exist in a drawn space of color and line, a structure of the spirit. Here the skull is seen as the only thing left on earth that speaks of that person's existence: the individuality and reality of people long dead and our relationship to them. Features 46 full-color drawings. Jill Scipione's empirical studies of meat, flesh and bones and the complexity of her spatial compositions suggest both the temporal and the eternal; suffering and hope. In 2007, Scipione began an ongoing drawing study of human skulls of historic peoples from global, anthroplogical collections. The Skullnotebook was created as a journal of correspondence, like pages of a letter; a visualization of concepts encountered during this study, incorporating reproductions of the skull images. She expresses each skull as individual and as group, and suggests both their connectivity and the space between them. She is active as an artists and arts organizer in the NY/NJ metropolitan area.